Ever since I read Kat Kennedy's awesome review of Everneath, I knew I had to read this book, and I'm so glad I did. 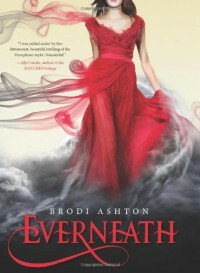 Despite falling into some YA PNR clichés, Everneath manages to be a very enjoyable read. Everneath is a modern retelling of the myth of Persephone. Nikki Beckett returns to the Surface, having survived six months in the Everneath being fed on by Cole, an immortal who must consume human emotion to live. Afterwards, Nikki is faced with the choice to either join Cole and become an Everliving herself or return to the Everneath in six months and be consumed by the Shades. She chooses the latter. With only six months to live, Nikki sets about trying to make amends with the people she so suddenly left behind including her father, brother, and ex-boyfriend, Jack, whose memory kept her alive in the Everneath. As she struggles to accept her fate, she must fight her addiction to Cole, who continues to try to seduce her to the dark side, and her feelings for Jack, who refuses to give up on her. For me, the strongest aspect of this novel was the romance between Nikki and Jack. Ashton's portrayal of the love between them, both in the present and through flashbacks, tugged at my heart. Nikki and Jack have amazing chemistry, and their relationship felt real and authentic. The love triangle also worked for me, mostly because Cole, the unhealthy stalker bad boy, is never glorified or presented as truly appealing. Ashton makes it clear that he is the unhealthy choice and that the only thing he can offer Nikki over Jack is a drug-like escape from her pain. Cole is more of a foil to the relationship between Nikki and Jack than a viable love interest. Nikki is also a likable protagonist. She doesn't mope around, complaining about her situation, or make excuses for her poor choices. She owns them and tries to make amends. Additionally, I have a lot of respect for her because she wasn't a doormat in either her relationship with Jack or Cole, and for having the brains to recognize that Cole is unhealthy and resist him. 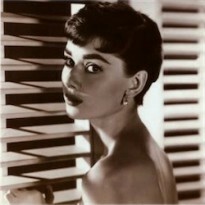 This is not to say she is overly perfect. She continues to make mistakes throughout the story and admittedly takes the easy road instead of the correct one at times, but these flaws only serve to make her relatable. The weaker aspects of this novel come front outside the love triangle. Many of the secondary characters needed more fleshing out like Nikki's ex-best friend Jules and Nikki's family. Her younger brother, Tommy, ends up being little more than a plot device, and her father is a too negligent to be believable. He seems to have barely noticed his daughter's abrupt disappearance six months earlier, and he is far too obsessed with his political career. Also, Everneath has yet another bitchy blonde cheerleader whose only purpose seems to be to torment the heroine and go after her love interest. I really liked Ashton's take on the myth of Persephone. It was original and incorporated ideas from both ancient greek and ancient Egyptian mythology. My main issue was the way the final mysteries were revealed. Although Nikki does have to work to understand some of the mysteries, Ashton relies a bit too much on Nikki's English teacher to provide the answers in the end. Still, it was refreshing to find a YA novel that was able to surprise me in terms of the plot, and the ending of this book was fantastic. I'd recommend this book to fans of YA PNR who like love triangles when they're done well, and who are tired of being sold on the wrong love interest.